Those born between 1982 and 2004 are the very first generation raised entirely in the electronic age. Their 24 hour life style is driven by immersion in a digital world, personal portable technology and social networks. As such, this group is more accepting of technology and use it more intelligently. For example, they look to red light apps to filter out the blue light on phones and laptops, or for apps to help them get to sleep. They come from incredibly diverse backgrounds. It is believed by the year 2020 they will represent 1/3 of all adults in the U.S.; 75% of the workforce by 2025. In the workplace they want flexibility, breaks and time to focus on personal development. A greater emphasis is on personal time with far less emphasis on working the long hours common to previous generations. With respect to sleep, the biggest impact is how the Circadian Rhythm of Millennials is affected. With increased pressures at school, after school activities, competitive sports and job performance, there is less time to unwind and relax. Greater amounts of homework are being required and it is getting done later at night. Millennials continually feel the peer pressure to be in touch with the world around them. 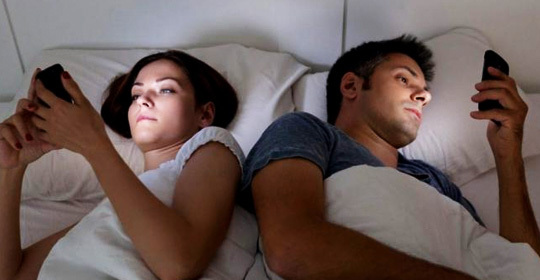 They bring their portable electronics to bed; watching TV, movies, playing games, live streaming and posting to their various social networks. As a result, they often get to sleep well after midnight. To help with Circadian Rhythm issues try to keep a regular bedtime and a regular wake-up time every day. The brain responds to light and dark cycles. Avoid bright lights at night, including TV, phone, iPad and computer monitors: dim them if possible. Seek out as much natural light as possible when you wake up and throughout the day. Incorporate regular meals and exercise into your daily routine. Avoid caffeine, energy drinks or alcohol late afternoon and evening as they can disrupt your sleep. Strive for a bedroom that is conducive to sleep: keep it dark, cool and free from distractions.